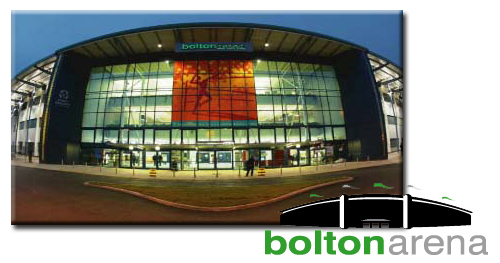 Forrest Badminton Club's home venue is the Bolton Arena, a £14.3 million sports and leisure complex based in Middlebrook Leisure and Retail Park which was opened in April 2001. The Bolton Arena was the home of the badminton competition of the 2002 Commonwealth Games hosted by Manchester. The Arena boasts 8 indoor and 6 outdoor tennis courts, a state of the art gym, a 400m thletic field, basketball court, full size football pitch and conferencing facilities in addition to 4 badminton courts which the club utilises. Forrest Badminton Club's secondary venue is Horwich Leisure Centre and is used for coaching and club nights during the season. Opened in 1975 by Princess Anne, the centre contains a huge array of facilities including an ISOSPA fitness gym, two swimming pools, sports hall, jacuzzi, sauna and steam room, squash courts and a floodlit all weather pitch.